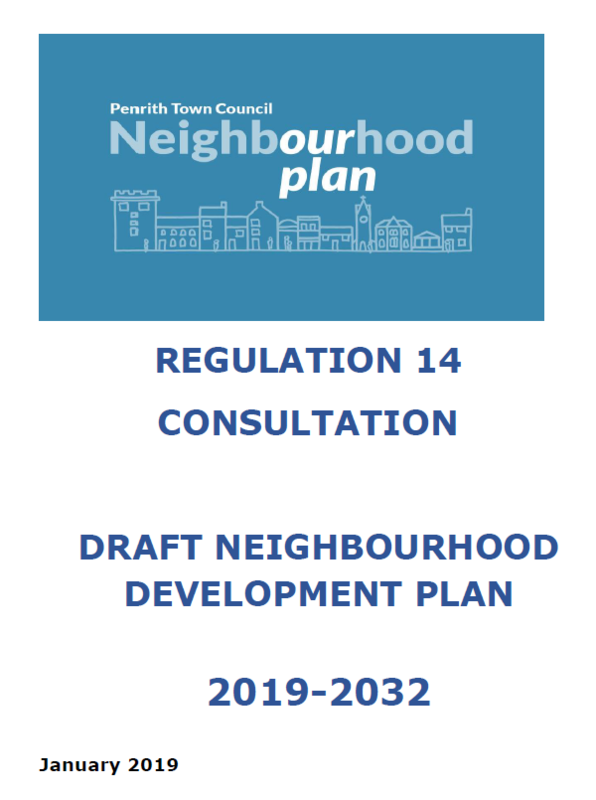 We have produced the final draft of our Neighbourhood Development Plan (NDP) which has been developed from the comments provided by residents and businesses during the two previous consultations that we undertook. The statutory Regulation 14 Consultation opened on 4 February and ran until 1 April 2019. All households and businesses within the parish area of Penrith were sent a copy of the Survey Booklet, questionnaire and pre-paid envelope. The posted summary version did not contain Policy 14 – Shop Front Design, but it can be found in the online document and was sent separately to all businesses within the parish area. 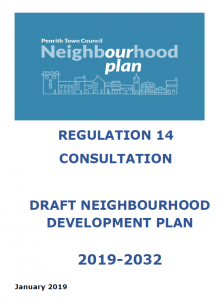 Copies of the full document can be found on our website, in Penrith Library and our offices for people to have a look at or they can be emailed out. Who else have we involved? We wrote to all the community groups in the Penrith Parish area as well as the District Council, County Council, neighbouring parishes, housing associations, educational establishments and other statutory consultees. Your views are really important to us so please take this opportunity to help shape your town.